Vuclip, mobile video and media company, has released its Q3 2013 Global Video Insights covering over 50,000 people globally, including around 8,000 from India. The survey reveals a high consumer appetite for watching full-length movies and television shows on their mobile phones even in areas where there is no fast network speed. The survey throws up some interesting insights for Indians: shorter forms of movies or movie clips are not preferred by Indians. Instead, 62% of them said they prefer to watch movies or TV serials instead of short clips. Long form content was preferred by as much as 89% of all respondents under the age of 18. 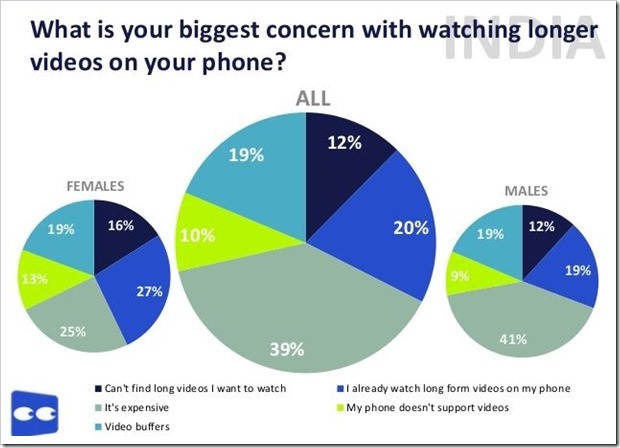 If these demographics are gender differentiated, 90% of males and 84% of females said they would be happy watching their favorite film via mobile. 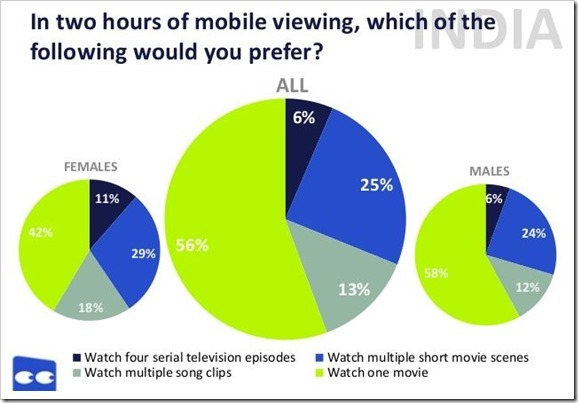 Along with movies, TV serials are also a favorite, with 81% of respondents saying they would prefer to watch their favorite TV serial on mobile, if available. This preference is particularly strong amongst the 18 and under age group at 95%. All these clearly point out the fact that it is the youth who is driving the long form of content consumption via the mobile. The concerns which acted as a bottleneck were high cost of data access, buffering issue and lack of interesting content. The high cost of data access topped the list with 39% of respondents citing this as a concern, followed by buffering at 19% and the lack of interesting content at 12%. The full survey results are can be found here. The searches focus primarily on the ABCD of content — A: Astrology, B-Bollywood, C- Cricket and D- Devotional — but Bollywood also rules the roost with Indians showing a clear preference to search for movies. 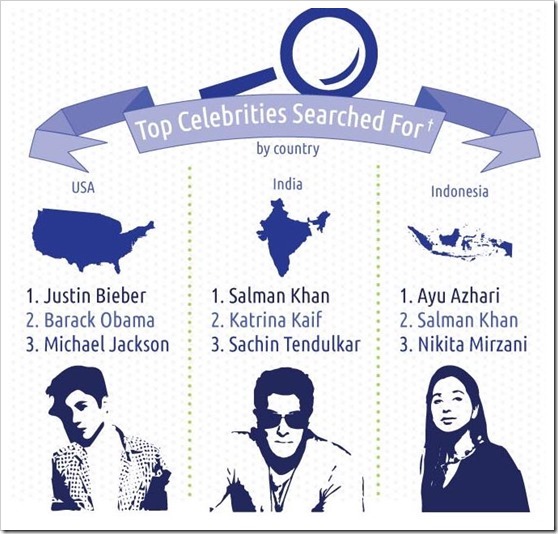 Among the top celebrity searches in second quarter of 2013 – Salman Khan, Katrina Kaif and Sachin Tendulkar rule the roost! More offer on plate? With Indian telcos offering 3G rates for as low as Rs. 123 for 1GB by Reliance and scores of cheap 3G handsets available in the country, these trends are soon going to be the new direction in which media industry is moving. "Young Indians Increasingly Consuming Long Form Mobile Videos: Vuclip", 5 out of 5 based on 1 ratings.